Use the SWMM 5 tools, define the program as the DOS engine or SWMM5.EXE (1), run the tool (2) and see the dos output in the command window of Windows 7 or Windows XP. It should also be possible to call Matlab and have Matlab call the SWMM 5 program using the SWMM 5 interface. Outlets in SWMM 5 can have reverse flow (1) if the downstream head is greater than the upstream head (2), a flap gate (3) will prevent the flow reversal (4). An outlet can have both positive and negative flow as long as you do not prevent it by having a flap gate. Here is how you map the shapefile pipe fields to the InfoSWMM data fields. One note, you had two diameter fields (feet and inches) and the feet column was mostly zero so I used the inch column. Here are the four steps and mapping you need to import all of the data from your shapefile. You will have to use blockedit and convert the diameter from inches to feet in the DB link table (Step 5 – note there are still three missing pipe diameters). Step 2. Set up the mapping between the Shapefile fields and InfoSWMM. We used link offset and the pipe diameter in inches. Here's just one example, from Singapore: RnD.de.PortraitsSingapore's Marina Barrage. 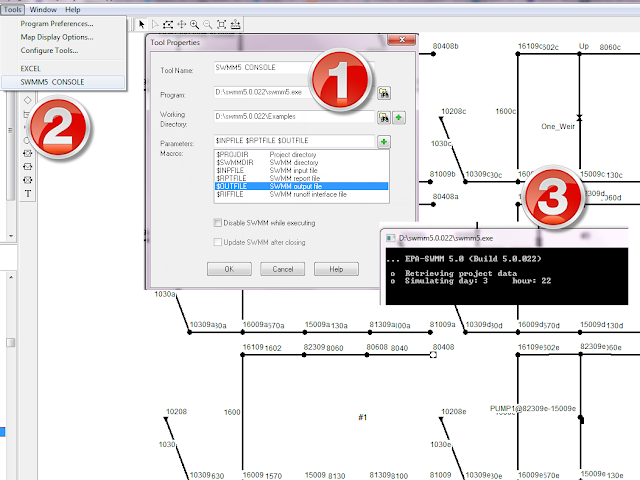 Download the newest SWMM 5 code(Figure 1) from http://www.epa.gov/nrmrl/wswrd/wq/models/swmm/#Downloads and then make a new directory on your computer. We will call it c:\newSWMM5Code with a subdirectory C:\newSWMMCode\VC2005_DLL in which the attached vcxproj file is placed. The source code from the EPA should be placed on C:\newSWMMCode. 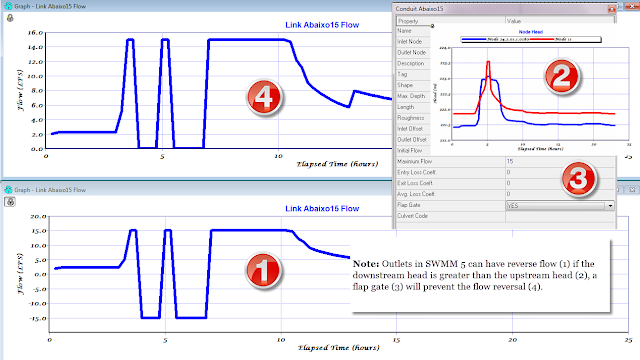 You can then open up the file swmm5_ms.vcxproj and make a new SWMM 5 DLL model with your code modifications (if needed).